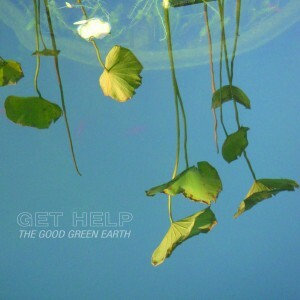 From the heart of the indie rock capital, New York, comes Get Help’s sophomore release The Good Green Earth. What began as a production project for a member (a slightly enigmatic figure who refers to be called “Skalicky”) of one of nearby city Boston’s favorite local acts, The Beatings, Get Help grew into a real music project before any of the members even realized it. As the band’s future members shared lyrics and song with the intention of starting a real licensing project they began to realize what they had together. So they pulled together to create some lo-fi, rough music coupled with catchy, pop-sensible hooks. Then, in the vein of other internet success stories they began to share their music through the blog they engineered for their project. Now, three years later the trio prepares for their second release The Good Green Earth. Hitting all the hot-spots of the best indie-rock, here they lay tracks both catchy as hell with raw sentiment poured in through rough production and low key, unassuming lyrics that are both familiar and refreshingly new. They cover a myriad of styles all filtered through tastefully done lo-fi effects. Sadly, these guys exist in a time and place where indie-rock music seems to be everywhere; and what they do, though they do it well, isn’t stand-out enough to make too big of a splash. That said, Get Help is an act that fans of hard-rockin’ indie should check out. This entry was posted on Wednesday, March 16th, 2011 at 9:24 pm and is filed under Uncategorized. You can feed this entry. You can leave a response, or trackback from your own site. Hey thanks for the nice review! The first time I have been called enigmatic. ha well i guess it seemed like a reasonable adjective from the info i had at the time. thanks though!